Known as HIDE (with capital letters) he was a guitarist with X JAPAN. As a solo artist he was known as hide (hide with Spread Beaver/zilch). His ideas regarding music, concerts and events were very innovative and original. In 1996 hide was given a copy of ZEPPET STORE’s CD, he was surprised as to how good it was and as a result decided to create his own label “LEMONed”. “LEMONed” was coined by hide as the past tense of lemon and pronounced as lemonade. It was based on his ideas, not only for music but for the arts, design, clothing, hair and life style. Sadly he passed away due to an unexpected accident on May 2nd, 1998. More than 50,000 fans attended to his funnel at Tsukiji Hongwanji in Tokyo. hide had plans for recording, CD release’s, concert tours, including Tokyo Dome and a World tour in USA and Europe in 1998. He was looking forward to these plans and had planned to release “Pink Spider” and “ever free” in May. They were released as scheduled out of respect for his love of the music. His 3rd album “Ja, Zoo” was completed by I.N.A, co-producer and the other members of hide with Spread Beaver, the memory of hide the driving force behind the album. The tour “hide with Spread Beaver appear!! ‘1998 TRIBAL Ja, Zoo’” was held at 14 venues with over 50,000 fans coming to remember hide. His 3rd album, which was released on the final day of this tour, sold 1,600,000 copies and it became the most memorable album of his life as a rock star. In July, 1998 the album “3.2.1” by zilch was released. zilch was formed by hide, Ray Mcveign(ex. PROFESSIONALS) and Paul Raven(ex.Killing Joke/PRONG who sadly passed away on Oct.27th, 2007. RIP) in 1995 and invited many session musicians to play with them. They created and produced their original rock sounds to break the barriers between Japanese music and Western music. But unfortunately hide passed away so this album is the first and last zilch album. The hide tribute album “hide/SPIRITS” was released in 1999. It contains 15 tracks by many musicians including X JAPAN. It sold a million copies and became the best-selling tribute album in Japan. It was also recorded in the Guinness Book of Records. hide’s 1st Memorial Day was held at Seibu Dome and the plans for the “hide MUSEUM” were announced. The hide MUSEUM in Yokosuka was opened in June, 2000 and closed in September 2005. Inside was a collection displaying hide memorabilia, including his guitars, stage costumes and personal items from his life. The LEMONed SHOP and Café Le Psyence were also part of the museum. It was visited by over 430,000 fans. In 2008 “hide memorial summit” was held at Ajinomoto Stadium in Tokyo for 2 days. Many musicians such as X JAPAN, hide with Spread Beaver and LUNA SEA performed on that stage with 90,000 fans coming to pay their respects. hide the 13th Memorial Day was held at Tsukiji Hongwanji on May 2nd , 2010 and 35,000 fans from all over the world paid floral tribute. 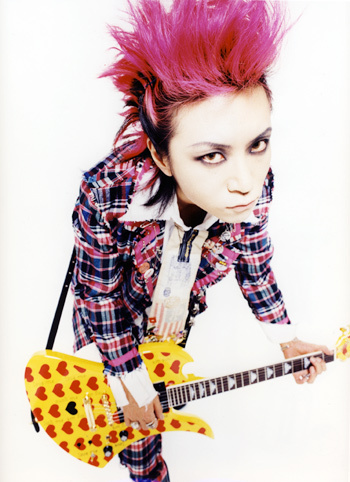 Rock musical “Pink Spider”, a musical based around hide’s music was written and toured as part of the 13th Memorial project. May 2nd is the hide Memorial Day and on December 13th we celebrate the "hide Birthday Party", these are still held every year. “CLUB PSYENCE”, a club even based on hide’s music, is also held regularly. A lot of material is still being released and the LEMONed shop is still open in Harajuku and Shinjuku. hide's spirit lives on in many people's hearts and he is still loved by all fans. 2013 will be the 20th Anniversary of his solo debut and 2014 will be the 50th Anniversary of his birth so many projects and events are planned for these Anniversaries now. Keep your eyes open for any announcements.